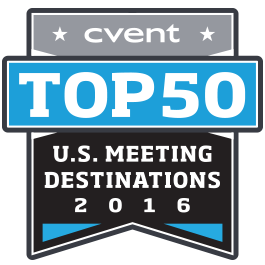 Welcome to Cvent's meeting and event planning guide to Orlando. 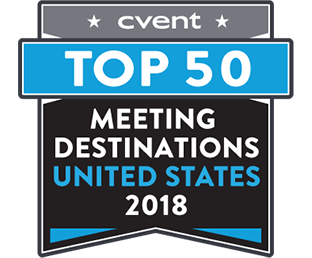 With the second-largest concentration of hotel rooms in any city in the U.S., as well as one of the largest convention centers in the country — the Orange County Convention Center — Orlando prides itself on being one of the top cities in America for meetings and conventions. 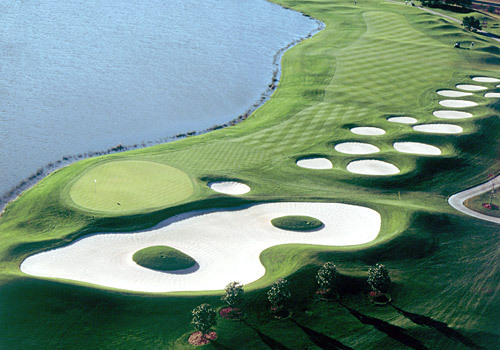 In addition to more than 450 hotels and resorts, Orlando also offers an estimated 26,000 vacation home rentals, 16,000 vacation ownership homes, and over 170 golf courses. 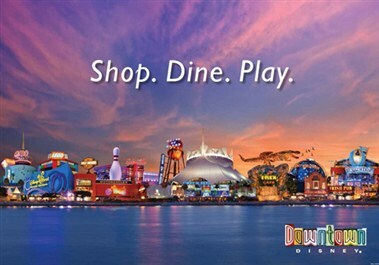 On International Drive alone, there are more than 10 miles of accommodations, event venues, restaurants, and attractions. 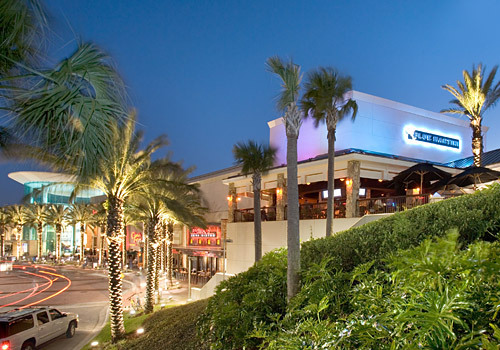 Throughout the city, Orlando features over 5,000 restaurants and huge array of retail shopping. 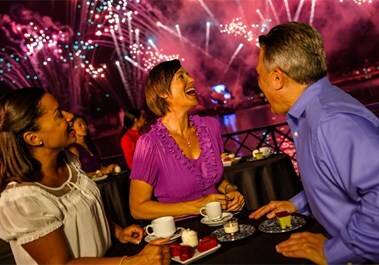 And of course, it is known as the theme park capital of the world, with seven world-renowned theme parks, including Walt Disney World Resort, Universal Studios Orlando, and SeaWorld. 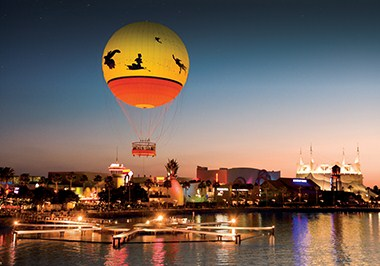 About 68 million people visit Orlando every year. While a large portion of the city's economy is driven by tourism, the convention industry is also a crucial piece of its economic backbone. 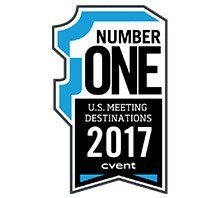 Moreover, Orlando competes with cities such as Chicago and Vegas for hosting the most convention attendees in the United States. 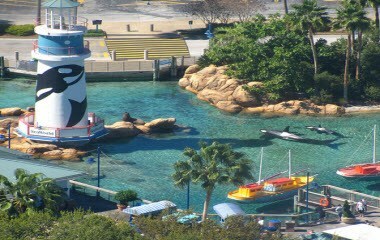 However, the area's economy is not completely supported by the tourism and convention industries. 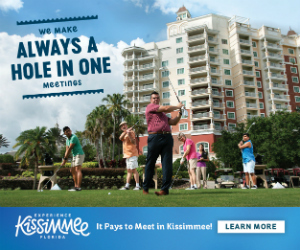 Several other notable companies operate out of Orlando as well: AAA, Darden Restaurants, Lockheed-Martin, Verizon, Red Lobster, The Golf Channel, Scholastic, NBC Universal, and the Walt Disney Company, to name a few. 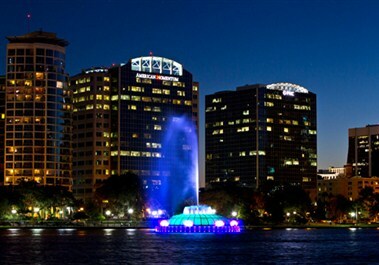 Metro Orlando companies have made global waves by producing innovations in life science; biotechnology; health care; modeling, simulation, and training; and digital media. 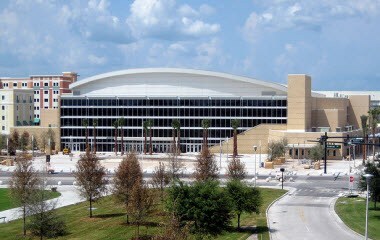 The Orange County Convention Center has the second-largest amount of exhibition and meeting space in the United States and is the primary convention facility in Central Florida, with a total of 7 million square feet of space. A 200-seat lecture hall, the 2,643-seat Chapin Theater, the 62,182-square-foot multipurpose Valencia Room, eight food courts, two 92,000-square-foot assembly areas, and 84 meeting rooms make up this impressive facility. 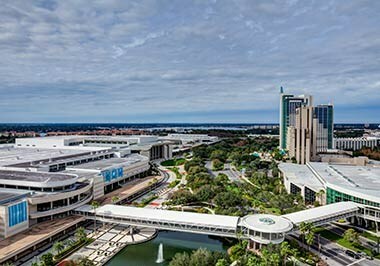 With hundreds of fabulous attractions, restaurants, and hotels; a state-of-the-art convention center; and an international airport located within a few miles of the central business district, Orlando provides all the necessary services to ensure the success of any meeting planning professional's work. 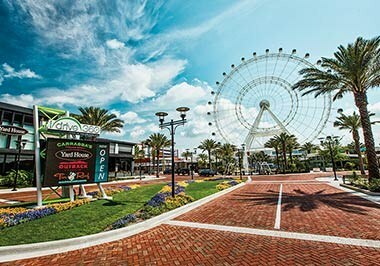 When looking at the booming metropolis of Orlando, it is hard to believe that once upon a time, it was just a modest town surrounded by cow pastures and citrus fields. 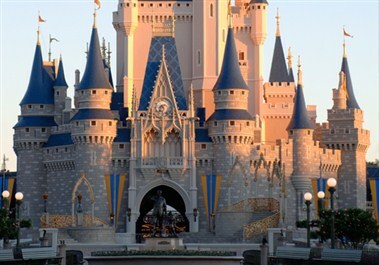 Today, Orlando is home to some of the most identifiable attractions in the world, including Walt Disney World, Universal Studios, and SeaWorld, as well as prestigious athletes, glamorous movie stars, and millionaires. 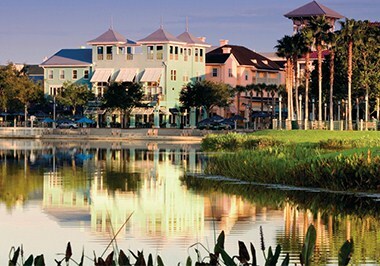 With a population of over 2 million, this tropical city is the fourth-largest in Florida. 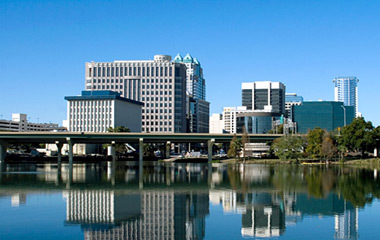 Orlando has consistently ranked as the No. 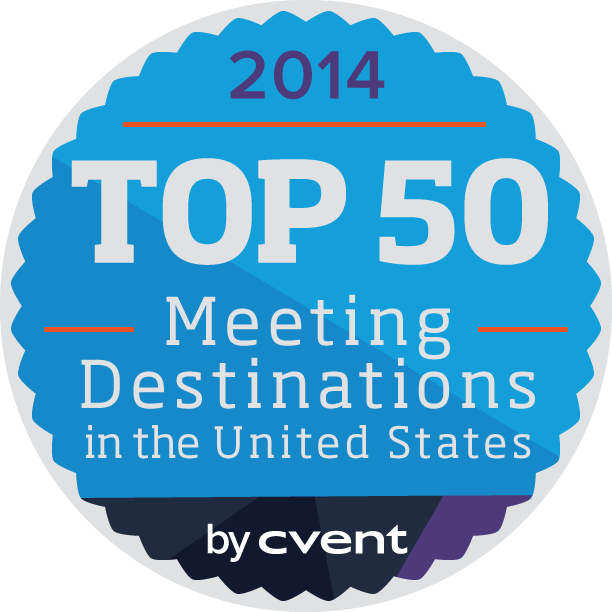 1 meeting destination, as well as one of the most visited destinations in the country. 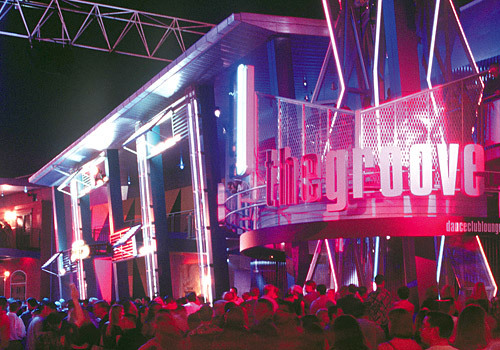 An abundance of nightclubs, restaurants, and bars bring this urban metropolis to life. The 20,000-seat Amway Center offers a wide range of entertainment for sports fans, including Orlando Magic basketball and Orlando Solar Bears hockey. And Orlando has added a professional soccer team and tennis to the list as well with a new 19,500-seat stadium, home of MLS Orlando City soccer, and the largest tennis center in the country, which houses the USTA's National Campus. 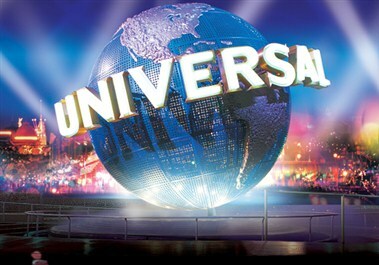 Abundant in entertainment, the city has nearly 200 attractions and unique venues, including seven of the world's top theme parks. 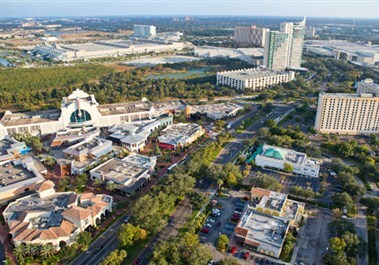 Orlando is the 23rd- largest metro area in the United States, with an estimated population of over 2 million. A cultural center, the city has a diverse population that is made up of Puerto Rican, Colombian, Venezuelan, French, Canadian, Arab, Indian, British, American, and many other communities. Its music, theater, art, and restaurant scenes have all been influenced by this eclectic melting pot of unique backgrounds and tastes. 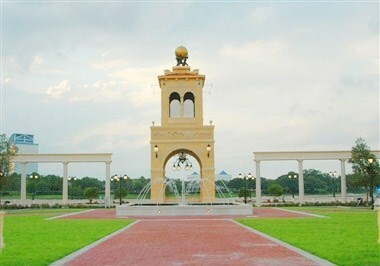 Orlando is one of the fastest-growing metro areas in the nation, with uniquely defined neighborhoods springing up around every corner. 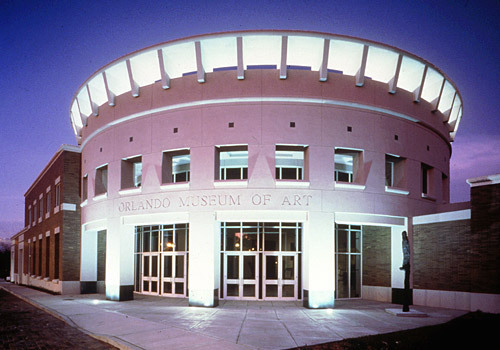 Often referred to as the Hollywood of the East, Orlando also has many multimedia production companies and cinematic businesses. For years, Walt Disney Feature Animation ran a studio out of Disney/Hollywood Studios at the Walt Disney Resort. Much of the animation for popular films including Mulan, Lilo & Stitch, and Brother Bear was produced at Animation-Florida. 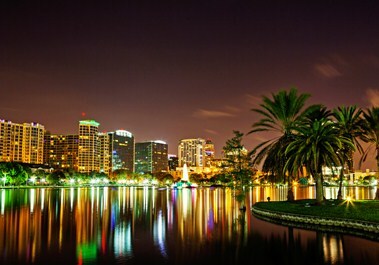 Orlando also represents the capital of pop music, with well-known artists such as Britney Spears, Mandy Moore, NSYNC, and the Backstreet Boys originating from the hip metropolis. And now, Orlando has become a hub of innovation as well. 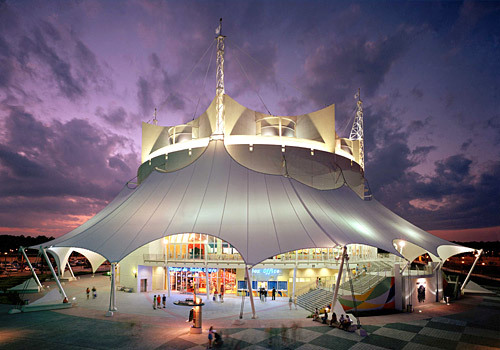 With the opening of the Dr. Phillips Center for the Performing Arts in the heart of downtown, live music and theater are booming as never before. The two-block community arts space features the 2,700-seat Walt Disney Theater, 300-seat Alexis & Jim Pugh Theater, Seneff Arts Plaza, School of Arts, and DeVos Family Room — all of which can be rented for private events. Current expansion plans include a 1,700-seat acoustic theater, a rehearsal room, and some commercial development spaces. 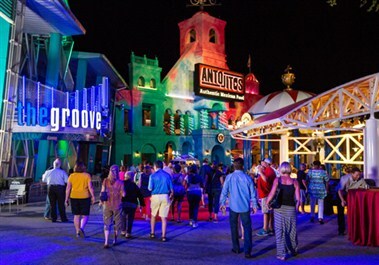 Elsewhere, professional and semiprofessional community theaters are dispersed throughout the community, including Orlando-UCF Shakespeare Festival, Orlando Repertory Theatre, and Starlight Dinner Theatre, to name a few. 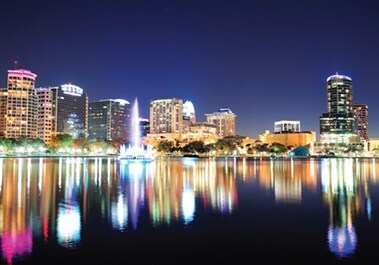 A popular resort destination, Orlando is within driving distance to several beaches, offering an escape from the fast-paced life of the city. 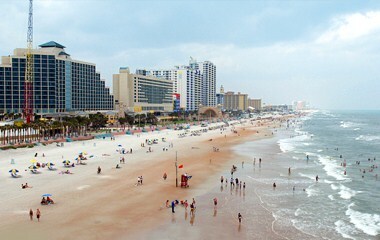 Take a day trip to Daytona Beach, Ormond Beach, Cocoa Beach, Clearwater Beach, or New Smyrna Beach to enjoy activities such as sunning, fishing, boating, sea kayaking, kite flying, and much more. 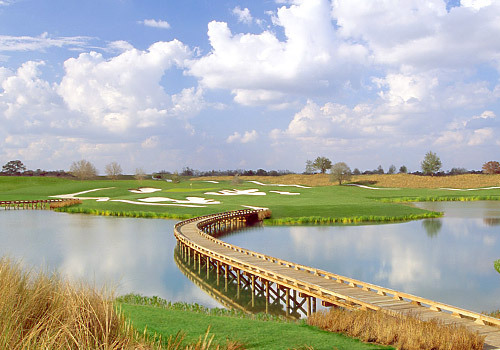 Or enjoy some of the country's best golf courses, shopping, and spas. 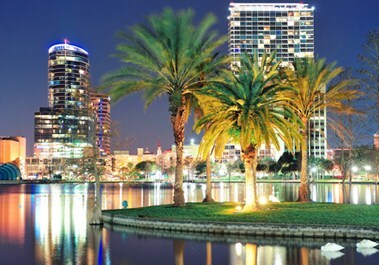 Defined by its warm and humid subtropical climate created by its low elevation and close proximity to the Tropic of Cancer, Orlando experiences only two major seasons every year. The first season lasts from May until October and consists of warm and sometimes rainy weather; temperatures rarely fall below 70°F, with daytime highs averaging in the 90s. 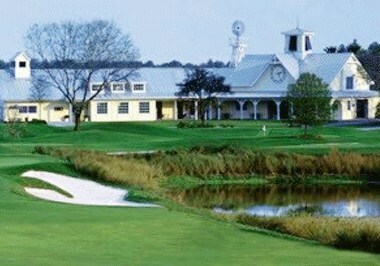 The annual precipitation in Orlando is 50.1 inches. The second season stretches from November to April, bringing more moderate temperatures and drier weather. During this season, there is a decrease in humidity, as well as temperature. Average lows are around 50°F, although temperatures do drop below freezing every once in a while; average highs consistently remain in the 70s. Situated just 40 miles inland from the Atlantic Ocean and 60 miles inland from the Gulf of Mexico, Orlando is somewhat at risk to hurricanes. However, since the city is 100 feet above sea level, typical effects of these tropical storms, such as storm surge, are not of concern. In fact, most storms weaken considerably before arriving in Orlando. Despite the potential for hurricanes, visitors are attracted to this paradise for its mild winters and over 300 days of sunshine. 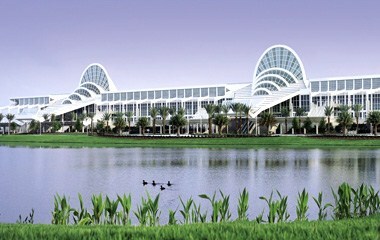 Orlando has four major convention hotels connected to the Orange County Convention Center by covered walkway bridges. 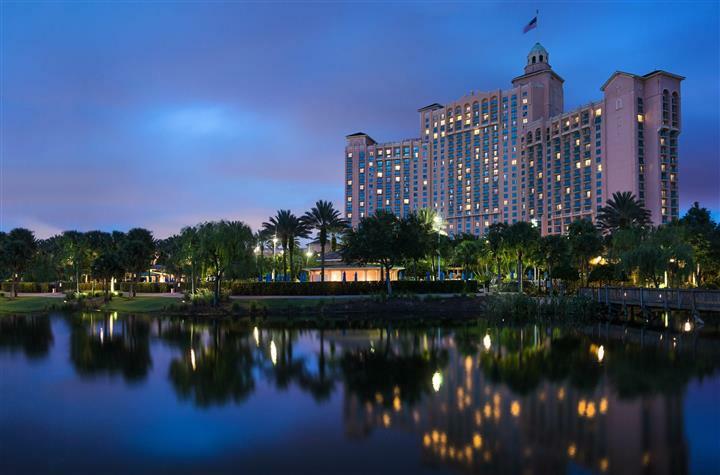 Together, the Hyatt Regency Orlando, Rosen Centre, Rosen Plaza, and Hilton Orlando provide access to over 5,194 premium hotel rooms. 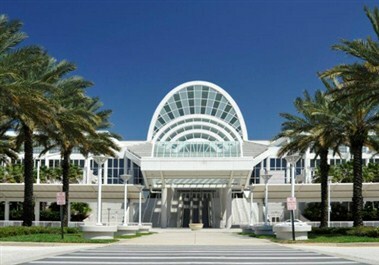 Located just 15 minutes from Orlando International Airport, the Orange County Convention Center (OCCC) offers a number of flexible meeting spaces among two buildings, the West Building and the North/South Building. 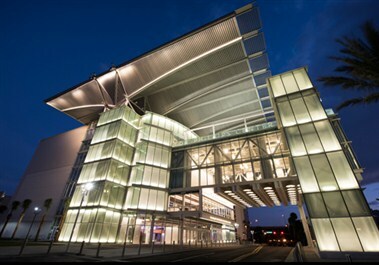 Overall, the center has 2.1 million square feet of event space, making it the second-largest convention center in the country. Opened in 1983, the West Building has over 1.1 million square feet of exhibit space, 49 meeting rooms, and 141 breakouts. Take advantage of the 2,643-seat Chapin Theater and 200-seat lecture hall, as well as the 62,182-square-foot Valencia Room, a multipurpose dining and general session event space that can accommodate up to 6,000 people. The West Building also has a full-service restaurant and four food courts. 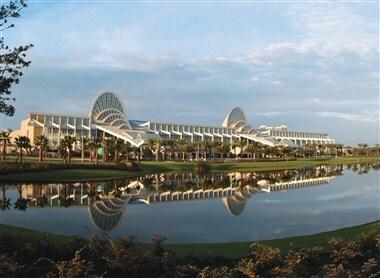 Upon its opening, the North/South Building doubled the size of the convention center. 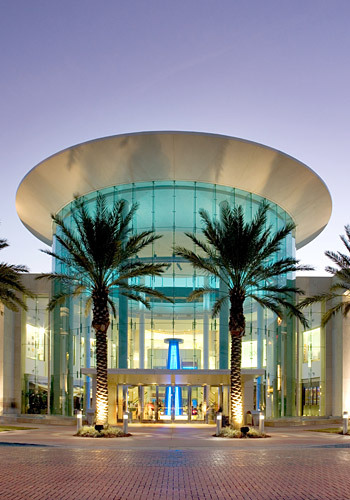 Now an acclaimed landmark in Central Florida, it features 80-foot-high glass walls, arched entrances, spacious interiors, and an extensive catwalk network. Among its 950,282 square feet of exhibition space are two 92,000-square-foot assembly areas and 25 meeting rooms. 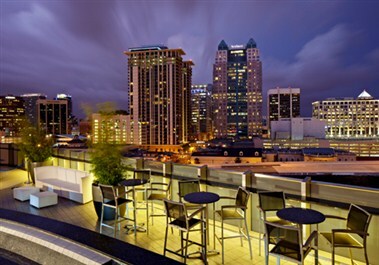 Two full-service restaurants and four food courts are also in the building, making the center an ideal Orlando meeting facility. 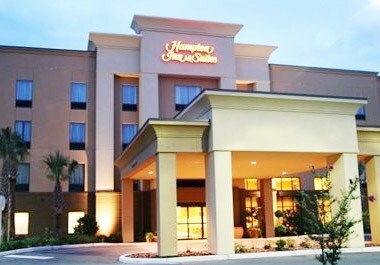 Just as extensive as the center's event and meeting site options are its amenities. The OCCC can provide in-house electric, plumbing, rigging, and technical services, as well as wireless mobility throughout the facility. It has been recognized as the No. 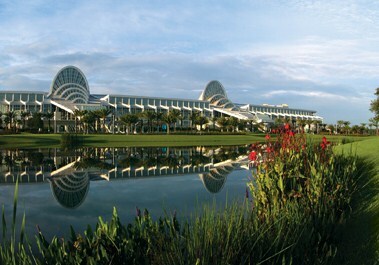 1 convention center in the United States and has expanded five times in its 30-year history. The OCCC is wrapping up a five-year, $187.5 million capital improvement plan, which includes new carpet and furniture groupings in one of its existing exhibit halls, the Tangerine Ballroom, and the all-new Valencia Ballroom. Other new features include digital and wayfinding signage and faster internet access, thanks to network infrastructure upgrades. Renovations will also include a signature meeting room with outdoor Hospitality Terrace, boardrooms, and improvements to life safety, lighting, and utilities services. 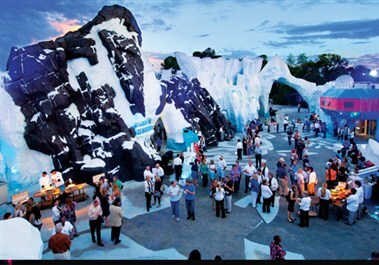 Planners can take advantage of nearby attractions when they book at the center, as offsite group event opportunities can be arranged at Walt Disney World, Universal Orlando, and SeaWorld Orlando. The OCCC has onsite parking for 6,227 vehicles, while the I-RIDE Trolley and LYNX public bus service both make stops at the center. Popular rideshare services Uber and Lyft are also available. 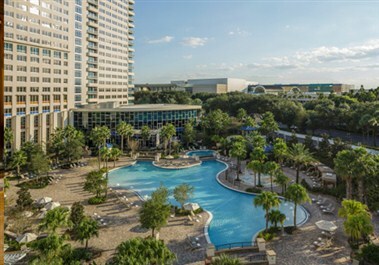 Orlando delivers on convenience with over 16,800 sleeping rooms among 42 first-class hotels within a 2-mile radius of the convention center. 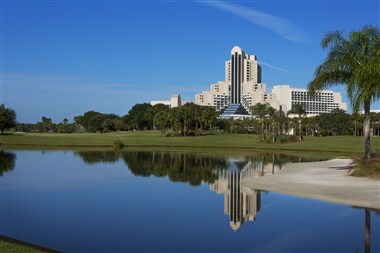 As the world's largest Marriott, the legendary Orlando World Center Marriott has something for everyone and then some. 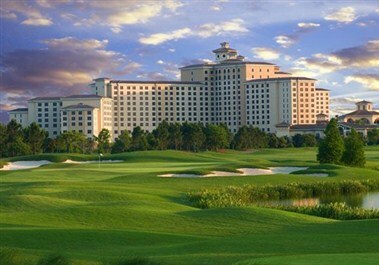 Located on 200 lush Central Florida acres, this resort and Orlando meeting facility has a long list of amenities that includes 7,000 yards of championship golf, a full-service spa, a well-equipped fitness center, six tropical pools, over 2,000 guest rooms and suites, and 10 restaurants and lounges. 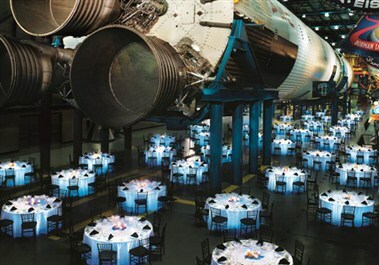 Its meeting and event space is equally impressive. 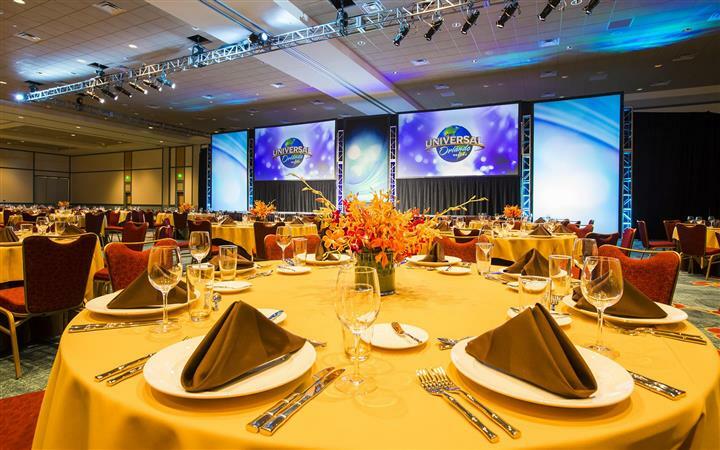 A recipient of 22 consecutive Meetings & Conventions Gold Key awards, the onsite convention center encompasses four boardrooms, 14,000 square feet of dedicated conference center event space, and five ballrooms, including the largest pillar-free resort ballroom in the country. 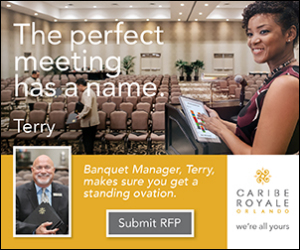 This Orlando meeting facility is ideally located along Shingle Creek, just a short distance from Orlando's best attractions and restaurants. 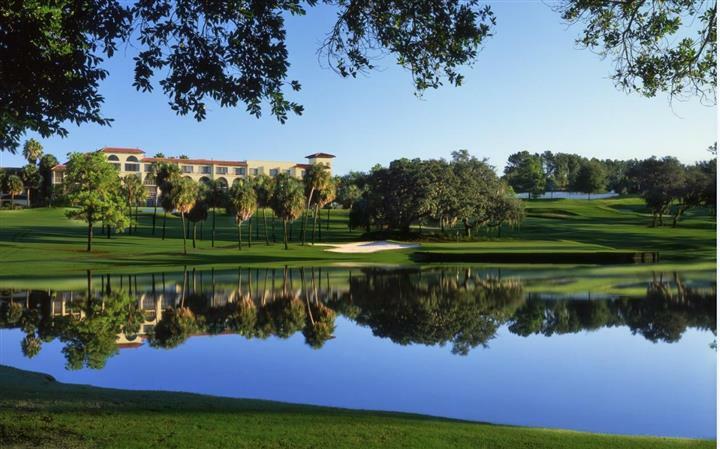 The property features 1,500 luxurious guest rooms and superior amenities, including an onsite golf course, two award-winning restaurants, and a rejuvenating spa. 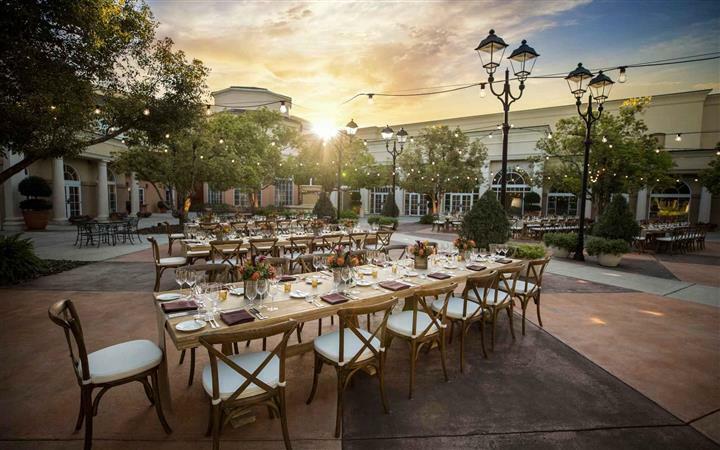 From ballrooms to breakout rooms, prefunction space to outdoor space, Rosen Shingle Creek features nearly 500,000 square feet of flexible meeting space. 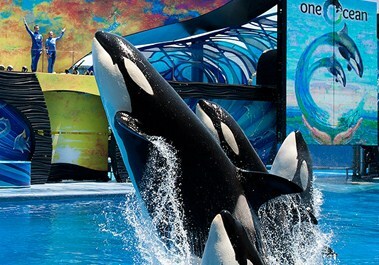 The Renaissance Orlando Hotel at SeaWorld places guests in close proximity to top Orlando attractions, including Walt Disney World, Universal Studios, and SeaWorld. 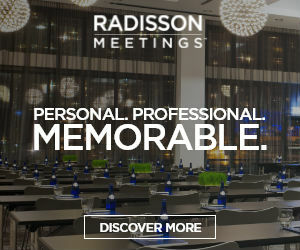 Blending elegance and comfort, the Renaissance Hotel's guest rooms feature high-speed internet access, spacious work desks, dual-line phones, new 32-inch flat-panel televisions, and Revive bedding, making them perfect for work and leisure. 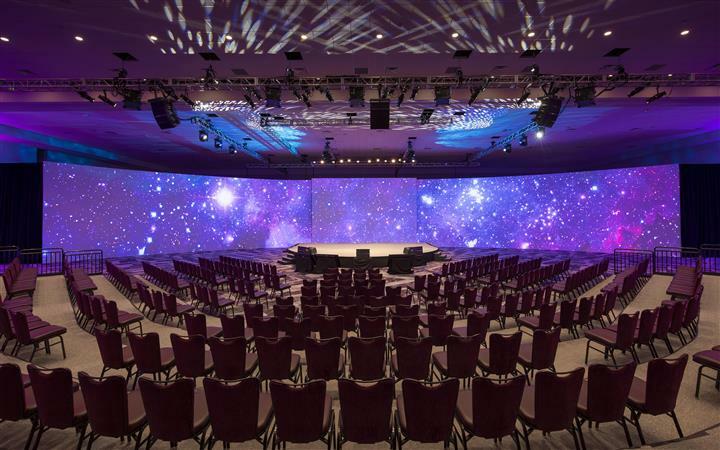 This Orlando meeting facility boasts large event spaces, including the 36,288-square-foot Oceans Ballroom and a spectacular, 65,000-square-foot atrium, which allows for optional fireworks and balloon drops. 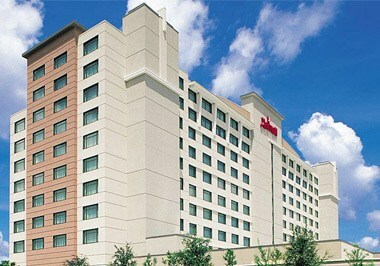 Opened in October 2009, the Hilton Orlando Bonnet Creek is the largest development in Hilton's history. 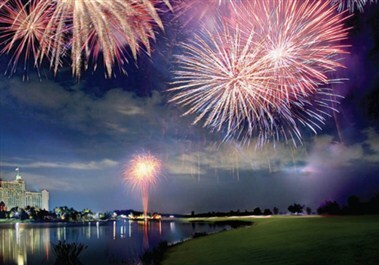 Occupying 482 acres just off Epcot Center Drive and surrounded by Walt Disney World Resort, the hotel is only 25 minutes from the airport and 15 minutes from the convention center. 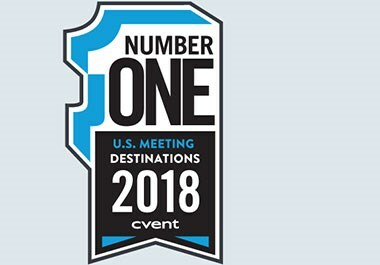 Its own state-of-the-art convention center boasts 160,000 square feet of flexible meeting space, including a ballroom that covers 35,925 square feet. 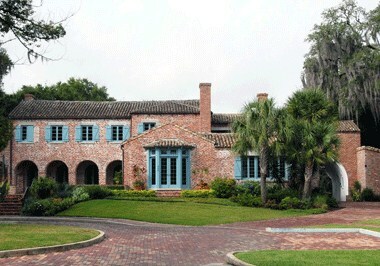 Secured wireless internet is available throughout the property, even at its eight versatile outdoor event spaces. 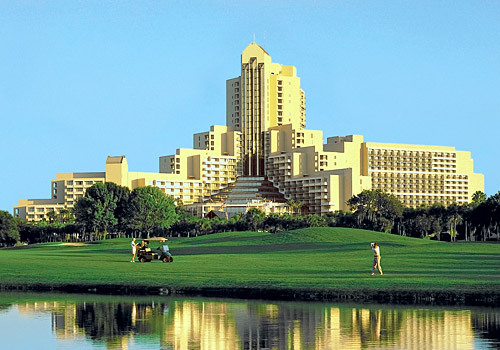 Masterful architecture and 500 acres of tropical landscape define the luxurious JW Marriott Orlando, Grande Lakes. When not enjoying the marble bathrooms, wireless internet, and striking views in one of 998 guest rooms and suites, visitors can visit the lavish spa or Greg Norman-designed golf course. 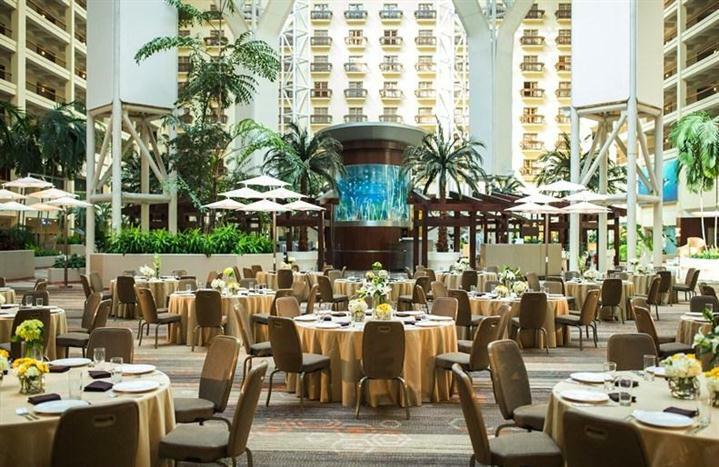 All kinds of events, from corporate luncheons to weddings, can be arranged at the hotel's ample meeting space, which includes the 29,666-square-foot Mediterranean Ballroom, capable of hosting up to 3,248 guests. 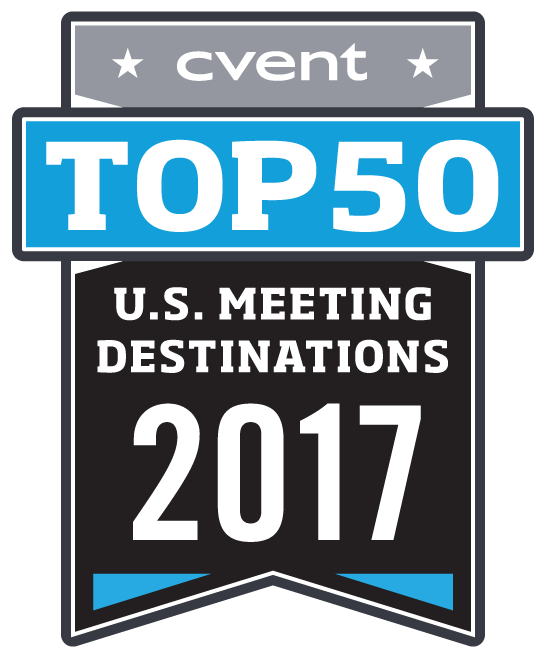 Rated the top airport in the nation, Orlando International Airport is located 11 miles from Orlando's convention district. The airport is not only the 41st-largest airport in the world in passenger traffic, but it is also the fifth-largest in the U.S. for domestic and international travel. 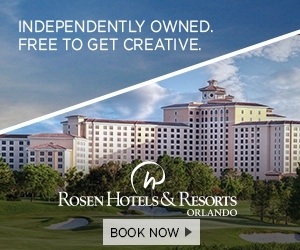 With Disney World, Universal Studios, the Kennedy Space Center, and numerous other world-famous attractions nearby, in addition to a plethora of convention-ready hotels, Orlando International is the busiest airport in Florida. More than 40 passenger airlines service the airport, providing nonstop flights to more than 80 U.S. destinations and 50 international destinations. Orlando International serves as a mini-hub for Delta Connection carriers and a focus city for JetBlue Airways, Frontier Airlines, Spirit Airlines, and Southwest Airlines. 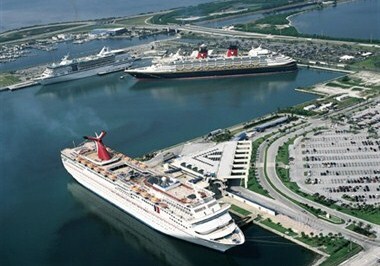 It is also the home of AirTran's corporate headquarters. A trilevel main terminal connects to four satellite terminals via an enclosed, elevated shuttle system. 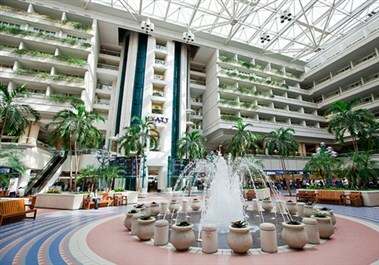 Inside and out, the décor and landscaping of the airport echo Orlando's sunny character. Terminal 4 offers panoramic views of surrounding lakes, islands, and lush vegetation; a skylight dome; and 4,650 square feet of mosaics featuring Florida flora and fauna. 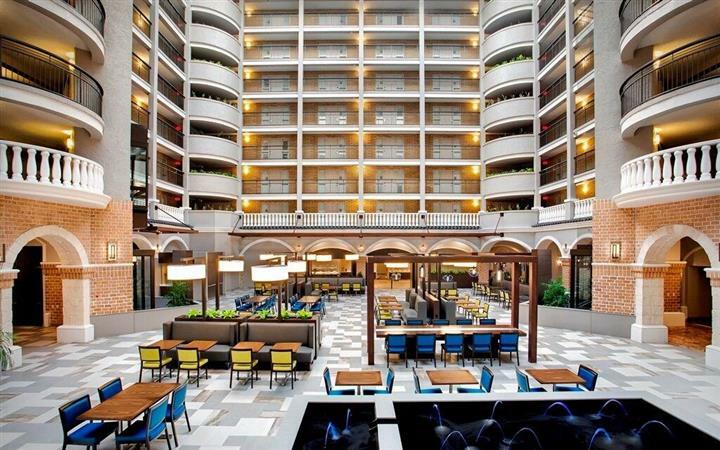 A 443-room Hyatt Regency is situated above the main terminal for those needing convenient overnight accommodations for business or leisure trips; its lobby creates a parklike refuge amid the chaos of a heavily traveled airport. A showcase of modern technology and convenience, the airport is warm, eye-catching, and easy to navigate. Orlando International Airport is also constantly expanding and working on ways to make the passenger experience as efficient as possible. It is currently undergoing work on the South Terminal Automated People Mover (APM) and Intermodal Transportation Facility (ITF) Complex, which will connect the future South Terminal to the existing North Terminal and support future multi-modal transportation. Now open, the ITF consists of about 1.3 million square feet of terminal space and accommodates the South APM and multiple regional rail systems, such as SunRail and Brightline. It will also support ground transportation activity, including taxis, rideshare services, shuttle buses, and public bus operations. New terminal upgrades are underway as well, with new ticket lobbies and self-assist counters in the North Terminal and 16 new gates that are expected to open in the South Terminal by late 2020. Situated on approximately 2,000 acres, Orlando Sanford International Airport is located 18 miles northeast of Orlando in Seminole County. 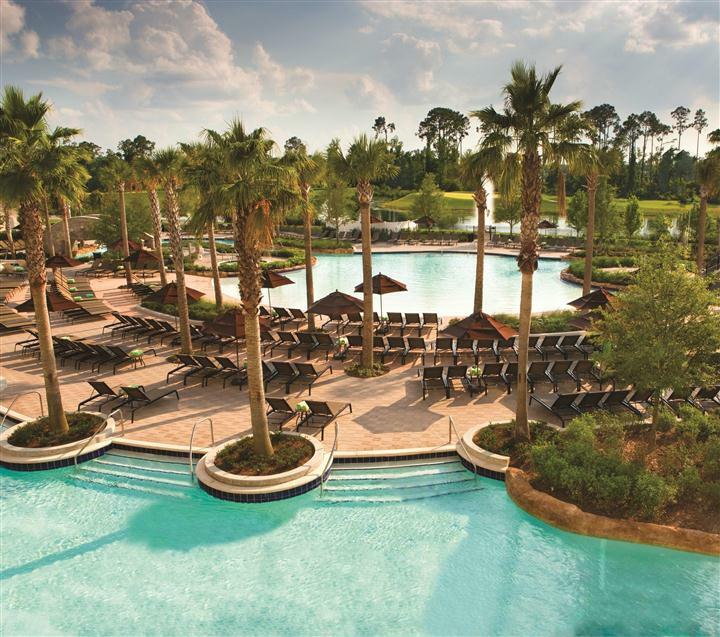 As one of the finest leisure passenger facilities in the United States, SFB functions as Orlando's secondary airport, providing travelers with state-of-the-art facilities and convenient access to surrounding beaches and area attractions. Heavy flight training has consistently ranked Orlando Sanford International among the top 30 busiest airports in the world in total takeoffs and landings. Because it is owned by the Sanford Airport Authority and managed by TBI plc — a world leader in airport operations that owns several airports in the U.K. — Sanford International Airport is predominantly served by British carriers. While SFB is mainly a hub for European travel, it is also a focus city for Las Vegas-based Allegiant Air. Dating back to the 1920s, when the first station was built by the Atlantic Coast Line Railroad, the Orlando Amtrak station is now situated south of downtown, about a mile from the old stations at Church Street and Central Boulevard. It is served by the Silver Meteor and Silver Star lines, which both travel north to south, starting in New York City and diverting slightly in the Southern states before arriving in Orlando. Orlando's regional public bus system, LYNX, serves all of Central Florida, offering economical public transportation with 61 routes throughout the Orlando area. Most bus stops are marked by round signs with the pink paw of a lynx cat or a bus symbol. While the standard bus fare costs about $1.50 per person, LYNX also supplies a complimentary bus system for the downtown Orlando area called LYMMO. LYMMO offers service from the T.D. Waterhouse Centre to City Hall with 11 stations and eight stops. In addition to LYNX and LYMMO, the I-RIDE Trolley bus system provides transportation service along International Drive; this service is primarily used by tourists, as this stretch is heavily populated with famous area attractions. 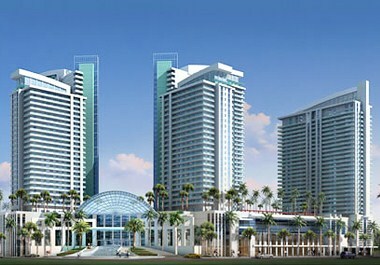 For more detailed information, call 407-841-LYNX. Central Florida's commuter rail system, SunRail, made its debut in 2016, connecting cities along Interstate 4, Orlando's freeway. 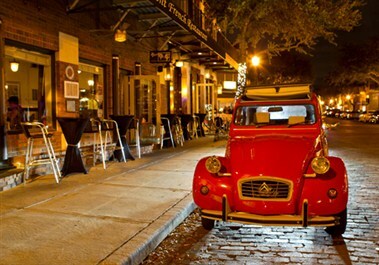 You can hop on the high-speed rail to do some sightseeing — from downtown Orlando near Church Street Station, with its many restaurants and clubs, to Park Avenue in Winter Park, just north of downtown, where you'll find high-end shops, award-winning restaurants, and museums. 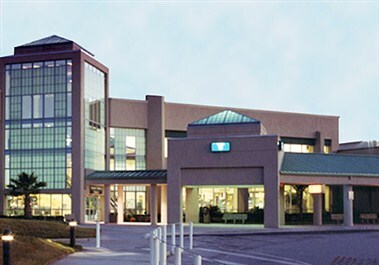 Amtrak bus connection is no longer provided by Coach USA, but Martz Tampa Bay offers bus connection service so riders in the outlying suburbs of Lakeland, Tampa, Sarasota, Port Charlotte, Fort Meyers, and Pinellas Park-St. Petersburg can access the Amtrak train routes. Taxis are available for up to nine people and charge the same rate regardless of the number of passengers. When arriving at Orlando International Airport, taxis are located on the Ground Transportation Level on both sides of the Main Terminal. Shuttle vans are also available and are often more economical than taxis. As one of the largest rental-car markets in the world, Orlando offers easy access to all major rental companies from the airport. Onsite rental-car companies can be found at Terminal A and Terminal B on the Ground Transportation Level of Orlando International Airport. Offsite companies can be accessed via courtesy shuttles, which are located in Terminal A and B as well. Recieve HUGE perks at the Embassy Suites!